This bed is 6 inches taller then our regular model, and include an additional cross bar at the base. 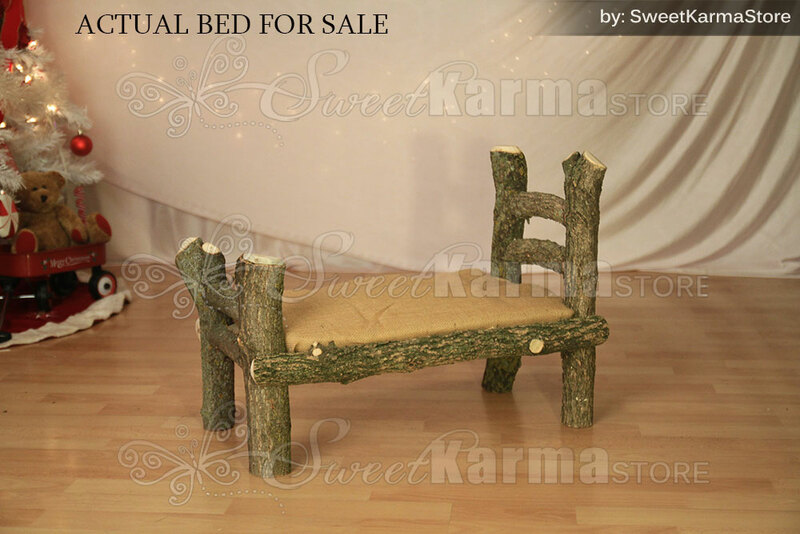 A real wood physical newborn log bed. Unique hand chosen, quality treated assorted wood and assorted wood chosen for texture. 1 Newborn Log Bed approx. 26" long x 14" wide x 18" tall and is shipped fully assembled.